Courtesy Tru Development Co. The Kaktus Life I luxury apartment community is under construction in the Southern Highlands area. Developers are seeking silver LEED certification the project pegged to open in the spring of 2019. Courtesy Tru Development Co. The Kaktus Life I luxury apartment community is currently under construction in the Southern Highlands area. Developers are seeking silver LEED certification the project pegged to open in the spring of 2019. 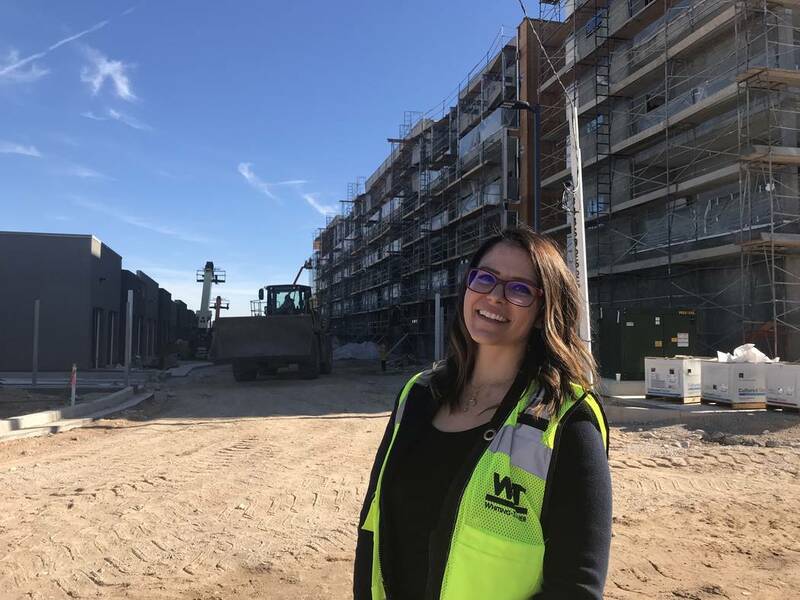 Jeffrey Meehan/Special to the Las Vegas Business Press Kelly Kwasniewski, development logistics at Tru Development Co. in Las Vegas, stands at the site of the company's Kaktus Life apartment project on Dec. 13, 2018. 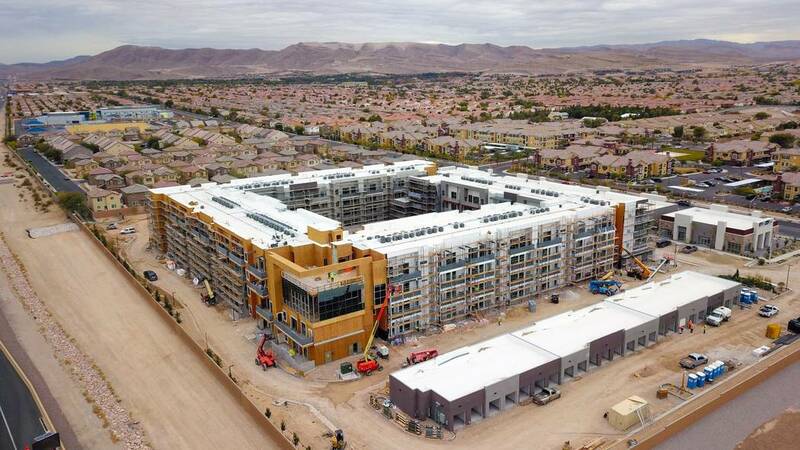 Courtesy Tru Development Co. Aerial shot of Kaktus Life I apartment community, currently under construction in the Southern Highlands area. 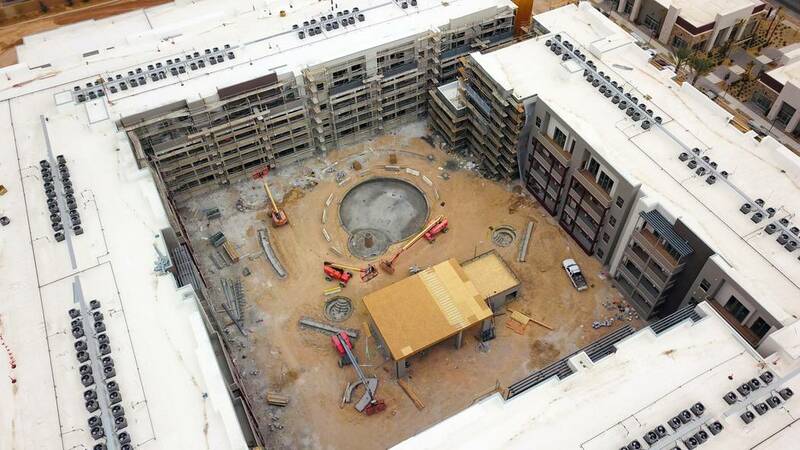 Pre-leasing is set to begin in February. 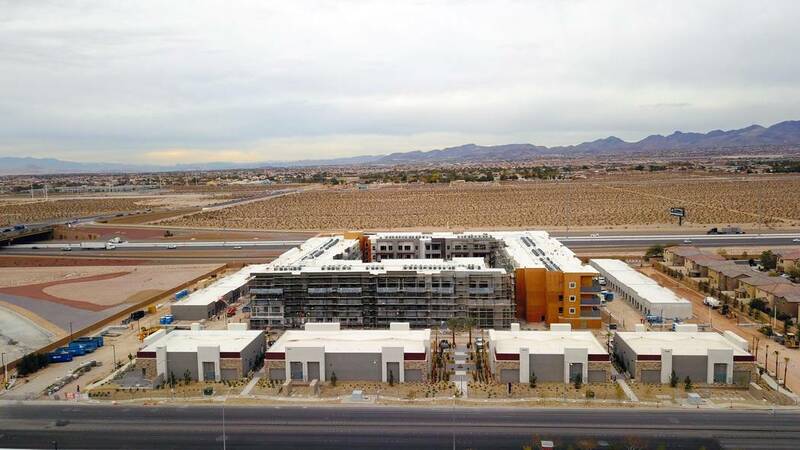 For Tru Development, the company is planning to break ground on a project near Buffalo Drive and the 215 Beltway in the southwest part of town. 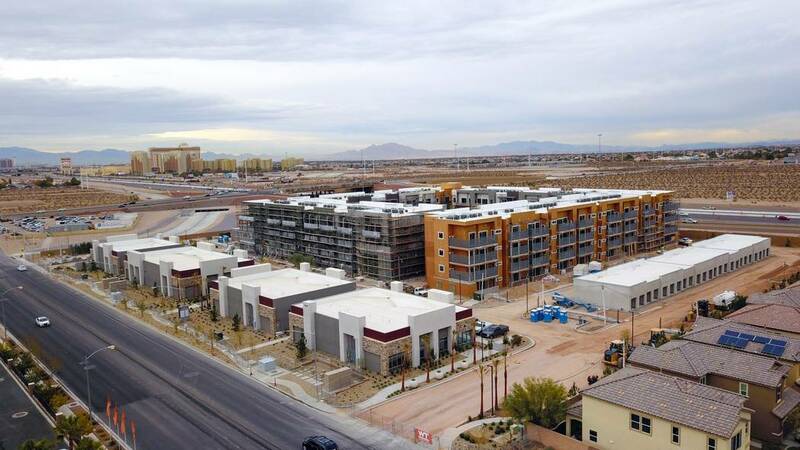 Again, the company is seeking LEED certification on its planned 614-unit multifamily project, which will have 5,000 square feet of retail. That project is set to break ground in the spring.